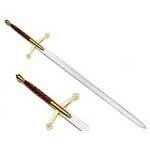 We supply medieval sword that is designed for theatre group and self use. 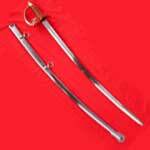 The quality of these swords has made us preferred in many museums, re-enactment groups and other exporters. These medieval warfare weapons comprise surprisingly thin blades, especially towards the tip. The authentic medieval welfare weapons exported by us are high in quality and durability. We are one of the most preferred exporters of these swords collecting awesome selections from quality manufacturers. Engineered features of these swords have placed us as one of the best antique swords exporters in India.